The psychic Edgar Cayce predicted in 1930 that sound will be the medicine of the future. 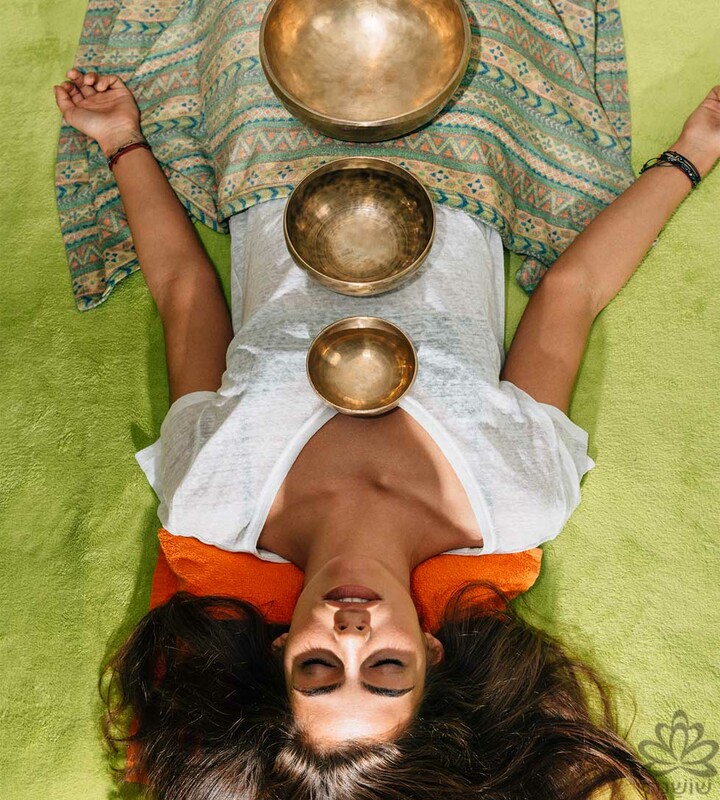 Sound treatment is a pleasant, relaxing and non-invasive method that involves the use of various instruments such as Tibetan bowls, Gongs, Tuning forks, Shamanic drums, Tingshas, percussion instruments, Harmony balls, bells, etc. Sound Therapist is placing and slowly moving the bowl on a client's body and around the body, and playing, creating the sound and vibrations that enter every cell of client’s body, through the skin, tissue, body cavity, bones, organs while they clean and balance the frequency of our brain and body. As a result, it leads very quickly to a deep relaxing and meditative state. In response to the changed state of the brain breathing slows down, muscles relax; it slows the heartbeat and calms the mind. Such relaxation leads to energy balance and the overall balance because sound has a beneficial effect on the body, mood and psyche. Therapeutic sounds help deep relaxation and regeneration of the body, balance left and right side of the brain. Vibrations are spontaneously removing harmful substances from the body; improve circulation of blood and lymph which reflects an increase of life energy and creative power. Prior to starting treatment, clients are advised to set their intention. It can be a simple focus on the present moment, or goals achievement or a vision or some other positive intention. It is recommended to drink plenty of fluids (water or tea) after the treatment in order to eliminate toxins from the body. Like tuning a piano, our body can be tuned to achieve optimal physical balance. 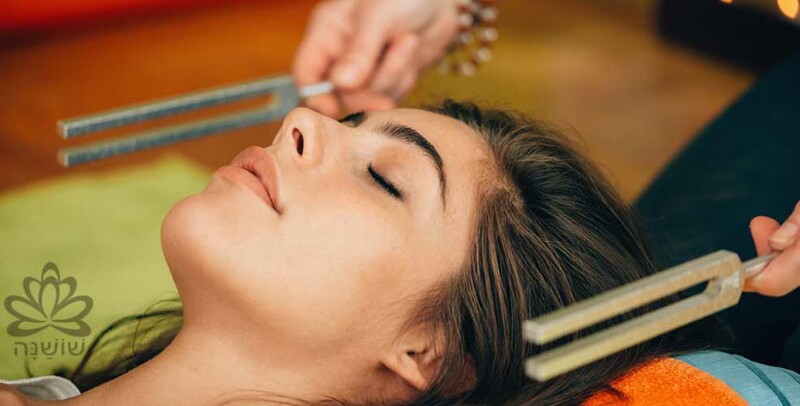 When activated, tuning fork causes the air around the fork to vibrate, sending out very strong vibrating impulses through the air and water through human body, instantaneously alter one’s body’s biochemistry and brings nervous system, muscle tone and organs into harmonic balance. In seconds the entire body enters a deep state of relaxation, feeling centred, your mind will be at peace. Tuning forks can be used on or off the body. Some are placed at specific points on the body such as the acupuncture points on hands and feet, for balancing chakras or energy centers and the nerve centers located along the spine that send impulses to the different organs, so by energizing these areas, we stimulate the organs into greater health-giving activity. 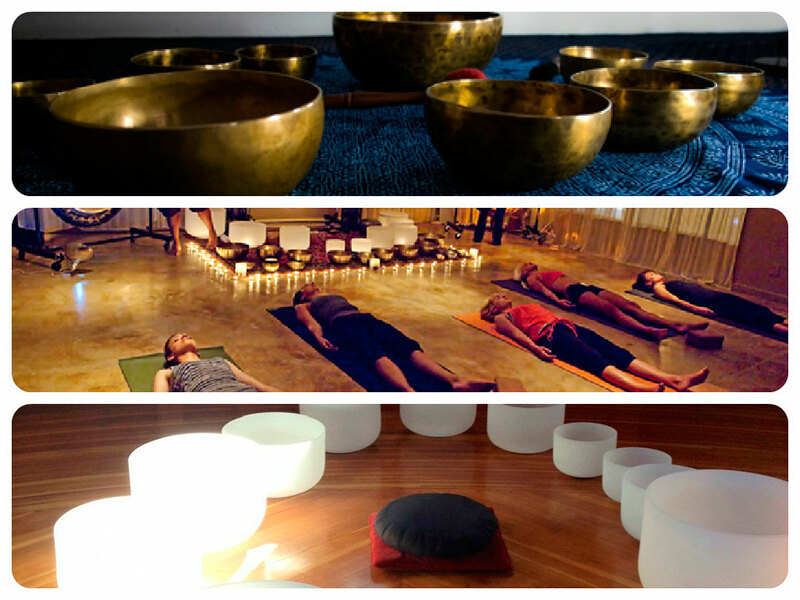 The difference between sound bath and individual treatment is that the sound bath involves more participants and no instruments are being placed directly on the body. We use this term because participants are really “bathed” in the sound vibrations of various therapeutic instruments. Participants lie on the floor or in a comfortable position, relax and take in the sound and the benefits of Sound therapy. The vibrations of the Tibetan bowls, drums, bells and other instruments, created with high harmonized qualities, take the listener on a musical journey. Each person experiences their unique sensation: for some it is like a concert, for others it is meditative and deeply relaxing, and for others it is a healing experience. Generally, the feeling with harmonic vibrations is like being immersed in waves of peace, heightened awareness and relaxation of the mind, body, and spirit. Time is suspended as you enter a world of vibration. Physical injuries can be healed and old emotional traumas released. Great insights can be accessed. You feel truly, vibrantly alive.